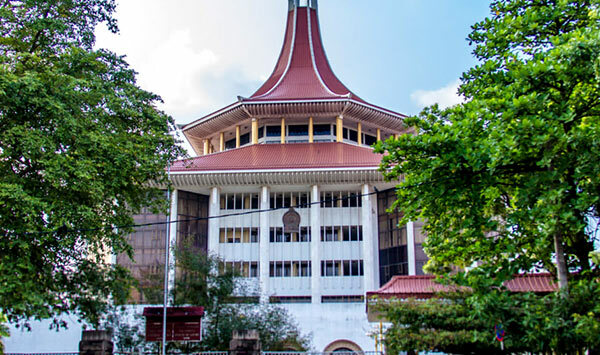 A total of 10 petitions have been filed before the Supreme Court against the issuance of the 2096/70 Gazette, purportedly dissolving Parliament. Political parties including United National Party (UNP), Janatha Vimukthi Peramuna (JVP) and the Tamil National Alliance (TNA), Tamil Progressive Alliance (TPA) and the All Ceylon People’s Congress have filed the petitions. The intention of filing the petition is to seek justice from the Supreme Court over the dissolution of Parliament, stated the former UNP MP Sagala Ratnayaka. That’s a lot of work for the new CJ and his troops. Time to get to work guys, quickly too, it is democracy at stake. Please note Civil Society is video monitoring of your cars; so, no meetings in private residences and big hotels, please. This is the age of social media guys, SC Judges; everybody gets to know what everybody else does, including SC Judges. This Elections Commissioner (Prof Hoole) has also submitted a Petition to the FC. Did he do so as a Citizen or as a Member of the ERECTION Commission or is he representing the three Election Commissioners? This Professor’s FR is causing confusion as we do not know where he is coming from? This may be a LTTE initiative to disrupt the Constitutional Process in SL. Congratulations, you struck the nail on its head. This ERECTIONS commissioner appears to be an LTT Agent whose intention is to confirm our Motherland as a PARIAH STATE. Because of this ERECTIONS Commissioner’s FR application, the Supreme Courts is likely to throw out remaining legitimate FR applications. We will be back to square one with two parallel Prime Ministers.